Madeira Festivals. Many joyful events happen on Madeira all year long. 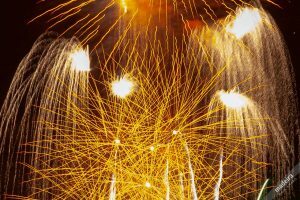 Here is a handy calendar of some of the more important celebrations and festivals on the island. Madeira is a very versatile tourism destination offering peace and quiet, adrenaline filled activities but also many festivals, religious pilgrimages, shows and culture. Because of this grand variety, Madeira can be the perfect travel destination. Santo Amaro Festival is celebrated across the island to mark the end of the Christmas season. Lapinhas and traditional Christmas decorations are taken down. Most noteworthy, “Santo Amaro” is especially well celebrated in Santa Cruz. Madeira Carnival Festivities in Funchal is one of the biggest carnival street happenings in Europe with an little air of Rio de Janeiro. Elaborately dressed groups dance to devilish rhythms through the streets of Funchal. Festa da Anona, or the Faial Cherimoya Fruit Festival celebrates the anona. This fruit which is omnipresent in Madeira gardens, and the festival celebrates the fruit well with great traditional entertainment. MIUT – Madeira Ultra Trail is a challenging mountain race across the island, not for the faint hearted! 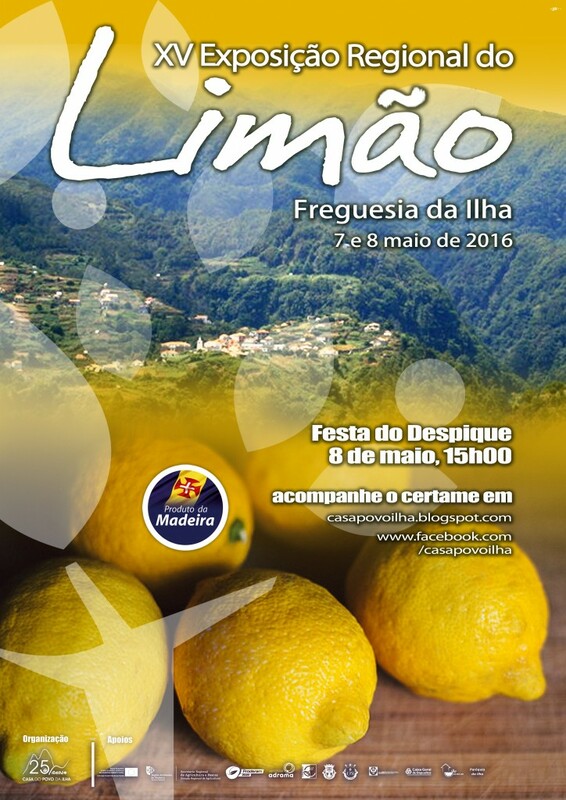 Ilha Festa do Limão or the Santana Lemon Festival celebrates Madeira’s lemon harvest season. Madeira Flower Festival in Funchal is big and beautiful parade with float covered in flowers filling the city streets. With flower carpets decorating the streets of most municipalities, this is the perfect time to admire the many flowers grown on the island. Festa da Cebola or Canico Onion Festival is a fun tribute to onion growing farmers. Onion farmers decorate their cars and tractors with… onions. Yes, you read right. Food and music are present for all to enjoy. Atlantic Festival Fireworks in Funchal is a firework contest taking place during the four June weekends. The aim is for each contestant representing a country to provide the best firework to enhance their live outdoor orchestral show. Festa da Cereja or Cherry Festival takes place in Camara de Lobos. 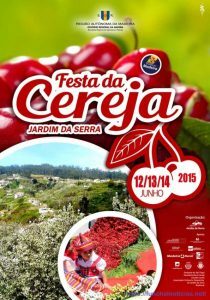 It is an agricultural celebration of the cherry harvest with lots of ginjinha, the local cherry liquor. 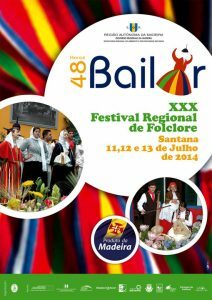 Folklore Dancing Festival, Santana: If you like traditional dances, beautiful costumes and music, this event is for you. It definitely delivers what it promises: 24 to 48 hours of folklore dances. 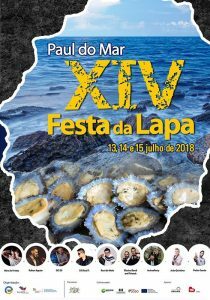 Festa da Lapa, Paul do Mar – Limpet Festival: Limpets are present in most restaurants and are a delicacy on Madeira. Hence, it is a good opportunity to try them with garlic and butter while listening to live music. 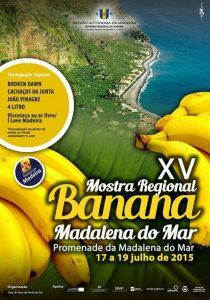 Banana Festival in Madalena do Mar. Stroll along the water and witness the many terraces banana plantations during this harvest festival. Madeira Island Summer Opening, Funchal. This is one of the island’s big music festival. It cannot compete with some well known festivals on the continent, but the ocean side scenery is breathtaking. 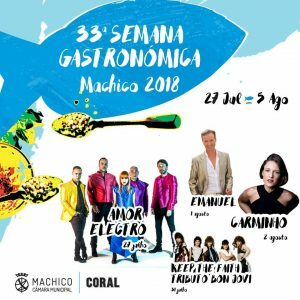 Machico Gastronomy: This Machico Food Festival lasts for 10 day across July and August. Hence, it is a perfect venue to test the many delicacies offered on Madeira. Monte Festival: This is, along with the arraial de Bom Jesus in Ponta Delgada, the most important religious festivity on Madeira. The view of the bay of Funchal is fabulous from Monte. Madeira Wine Festival takes place in Camara de Lobos. 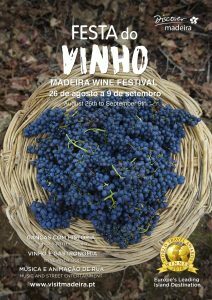 This grape harvest and Madeira tasting is a real must for all lovers of Madeira’s biggest export, Madeira Wine. Furthermore, Funchal also provides many activities and attractions for this big festival. Arraial Senhor Bom Jesus, Ponta Delgada: Religious festivities and pilgrimage on the North Coast of Madeira. This is the largest arraial on the island. As a result, should you be on the island, well worth a trip! Columbus Festival, Porto Santo Island: This festival re-enacts the arrival of Cristopher Columbus on Porto Santo island. Porto Santo has many ties with Christopher Columbus, who married a local lady. Their first son was born on Porto Santo. Apple Festival in Ponta do Pargo and Mostra da Sidra or Apple Cider Festival in Santo da Serra: As the Summer is leaving its place to the Fall, apple harvest and apple cider are celebrated. Madeira Nature Festival: This festival offers insight into Madeira’s deep and rich Nature with many activities. Interestingly, these activities reach from easy walking to more adventurous happenings. There is certainly something for you! Festa da Castanha, Chestnut Festival in Curral das Freiras, a remote area where chestnuts grow abundantly. The festival is a nice excuse to taste all chestnut enhanced recipes of the municipality. Christmas and New Year’s Festivities: These festivities are very special on Madeira and definitely well worth a visit. Consequently, the island wears its nicest decorations and the light shows are breathtaking. The New Year’s Firework is a definite highlight of the festive season. Hence, many visitors come to Madeira to witness this spectacular happening.